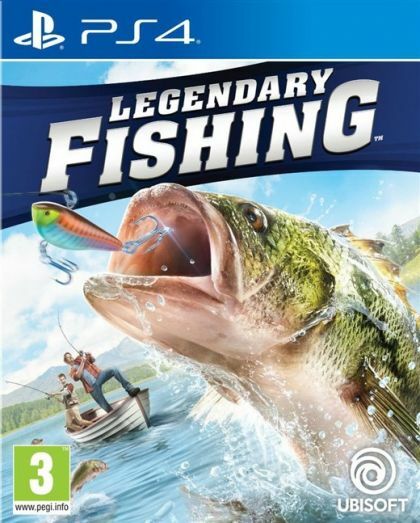 Do you have what it takes to become a legendary angler? Welcome to "LEGENDARY FISHING", the arcade style casual fishing game. Choose your tackle and hone your skills in 3 different modes. Whether you take up increasingly demanding challenges, you compete with your friends or you just want to relax and find your zen, there is always something to do and plenty of fish waiting for you. Cast, hook, and reel. The gameplay of "LEGENDARY FISHING" is easier than real-life but some fish will still give you a fight! Don't break your line! 80 missions will challenge your fishing abilities as you progress from a casual angler to a legendary one. Unlock 10 realistic venues with varied fish in 4 seasons and different weather conditions. Collect 21 types of fish including some "legendary" sized ones as well as 11 fishing rods and 11 reels, 48 lures and 8 fly types. A second player can assist you in attracting and reeling fish! Play up to 4 players in split screen. Also available on the go on the Nintendo Switch. You are free to play with no rules, just for pleasure and relaxation with plenty of fish to catch.